From the author of the Magellan biography, "Over the Edge of the World, " a mesmerizing new account of the great explorer. Christopher Columbus's 1492 voyage across the Atlantic Ocean in search of a trading route to China, and his unexpected landfall in the Americas, is a watershed event in world history. Yet Columbus made three more voyages within the span of only a decade, each designed to demonstrate that he could sail to China within a matter of weeks and convert those he found there to Christianity. These later voyages were even more adventurous, violent, and ambiguous, but they revealed Columbus's uncanny sense of the sea, his mingled brilliance and delusion, and his superb navigational skills. In all these exploits he almost never lost a sailor. By their conclusion, however, Columbus was broken in body and spirit. If the first voyage illustrates the rewards of exploration, the latter voyages illustrate the tragic costs- political, moral, and economic. 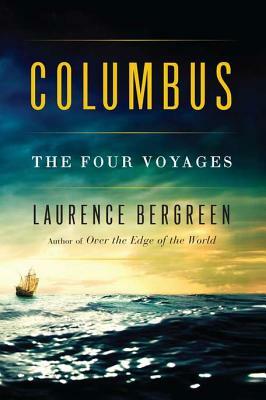 In rich detail Laurence Bergreen re-creates each of these adventures as well as the historical background of Columbus's celebrated, controversial career. Written from the participants' vivid perspectives, this breathtakingly dramatic account will be embraced by readers of Bergreen's previous biographies of Marco Polo and Magellan and by fans of Nathaniel Philbrick, Simon Winchester, and Tony Horwitz. Laurence Bergreen is the author of several award-winning biographies, including those of Louis Armstrong, Al Capone, Irving Berlin, and James Agee. He has written for many national publications including Esquire and Newsweek, taught at the New School for Social Research, and served as Assistant to the President of the Museum of Television and Radio in New York. Bergreen has also served as a nonfiction judge for the National Book Awards and as a judge for the PEN/Albrand Nonfiction Award. Voyage to Mars is soon to be an NBC-TV television movie that will premier in spring 2002, and a weekly series that will debut in fall 2002. Bergreen lives in New York City.